Here’s Part 2 of my interview shot at Motorcycle Travellers Meet – India. Updates from the trip across Egypt, Sudan and Ethiopia. 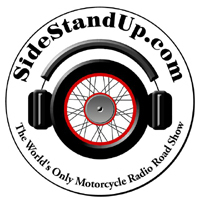 Going to be interviewed on online motorcycle radio show SideStandUp.com tonight (March 29) at 8:00 pm EDT (NYC). Listen live from the below website. Updates from the Atlantic crossing and preparations for Africa. Last interview from the Americas and then it’s off to Afffrica!